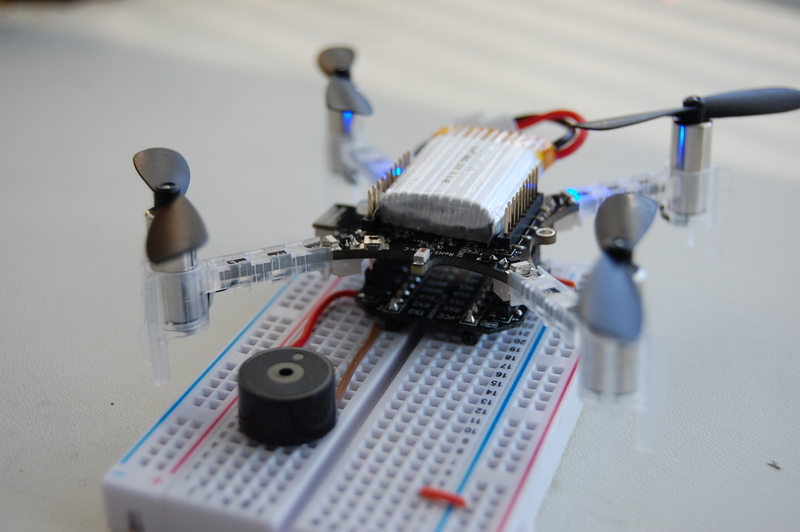 This guide shows how to add a piezo buzzer to a Crazyflie 2.0 prototype deck and control it using the parameters from the Crazyflie Python client. To get extra volume out of the buzzer we will use differential-drive using PWM on two pins, each connected to one terminal of the buzzer. 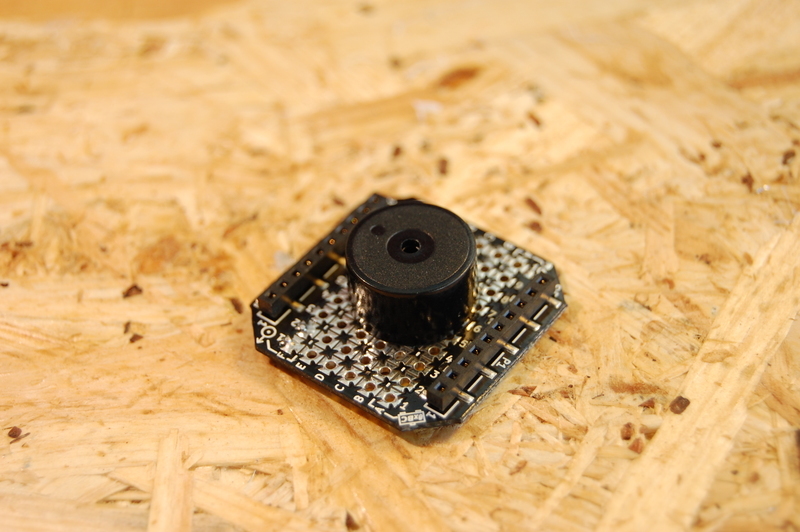 This will give a -3V to 3V swing instead of 0-3V between on/off. 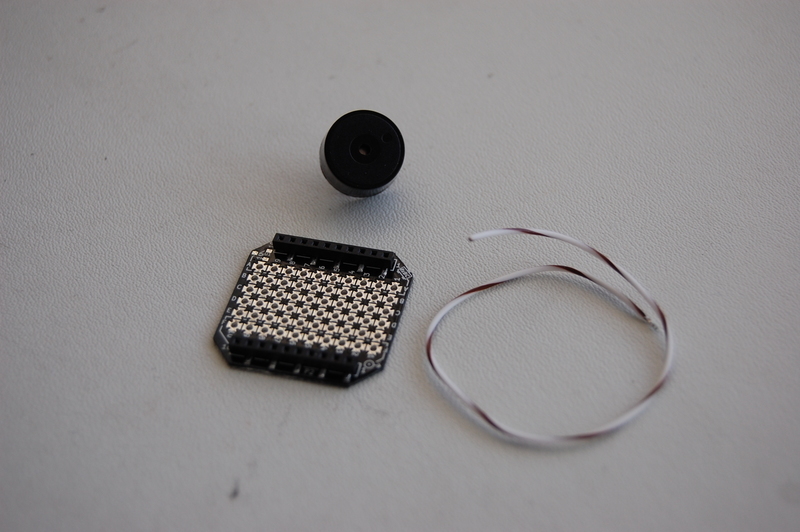 The buzzer should be connected to the TX2/RX2 pins on the expansion header which also has PWM functionality using TIM5 channel 3/4. 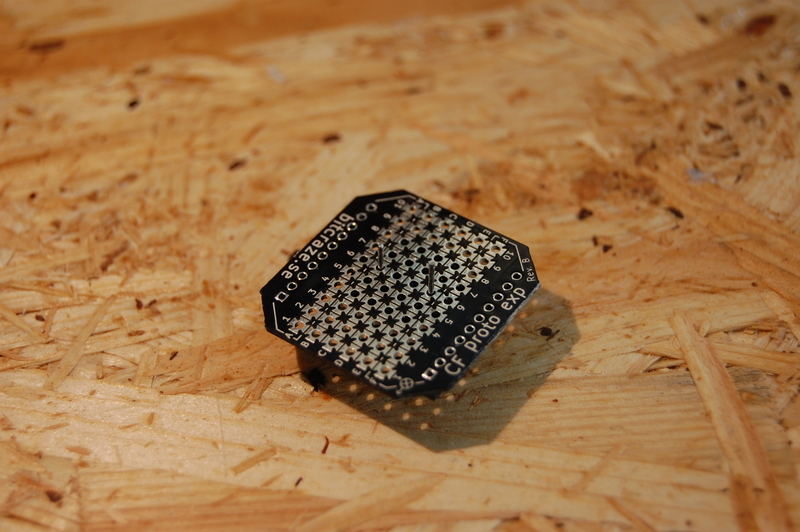 In order to do fun things with the buzzer there needs to be some firmware. 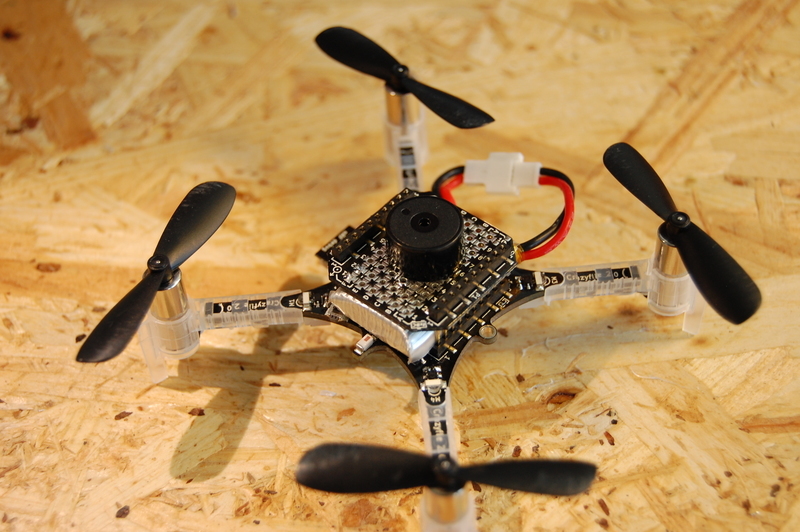 The firmware can be found on the dev-buzzer branch in the Crazyflie 2.0 repo on GitHub. 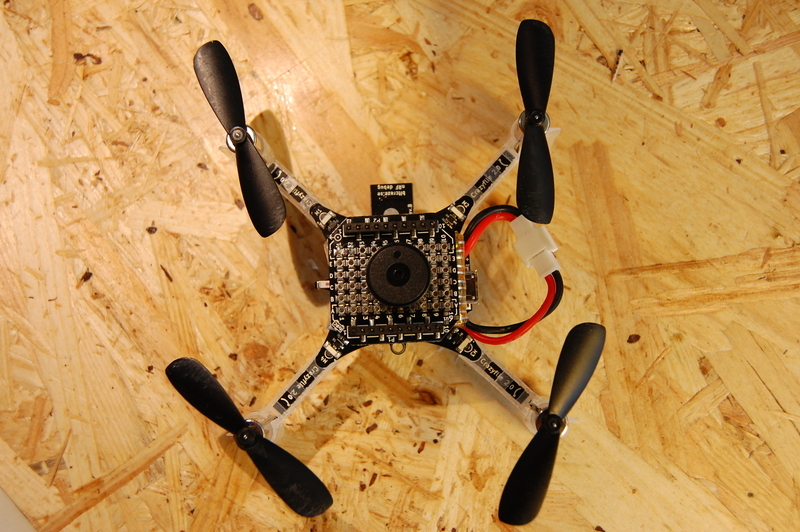 Build the firmware and flash it. 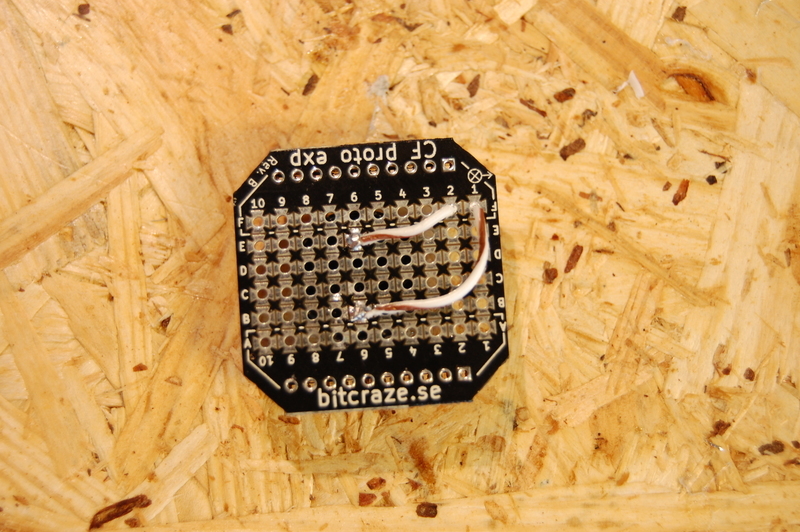 The buzzer is implemented in a similar fashion as the LED-ring deck. 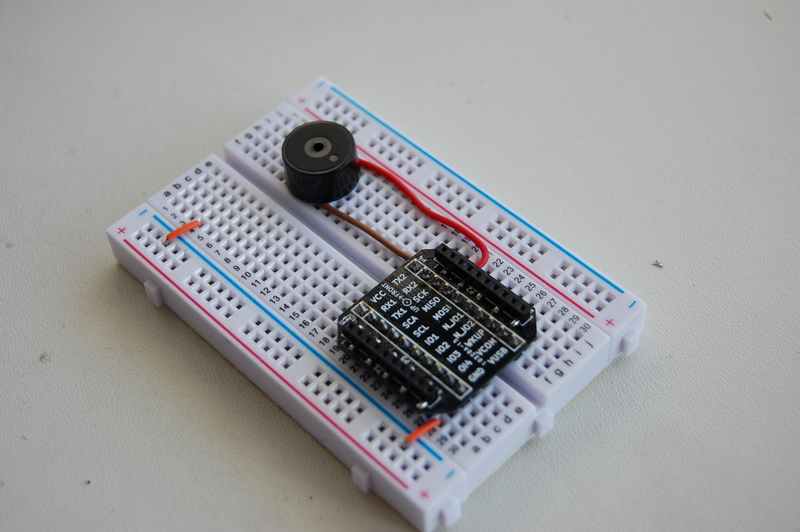 Using a parameter you can set the current effect of the buzzer. Below is a list of the parameters that are interesting. Have a look in the modules/src/buzzer.c file for adding new melodies and effects.